If you want to complete your Viking warrior amulet kit, look no further than Norsebraid Hair Beads. 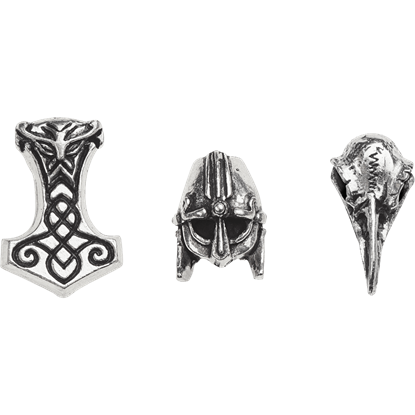 Shaped like Mjolnir, an Odins raven skull, and a warlords helmet, this set of hair beads is all you need to release your rage! Embracing geometric knotwork patterns, Borre style artwork motifs are named for the Borre mound cemetery in Norway. 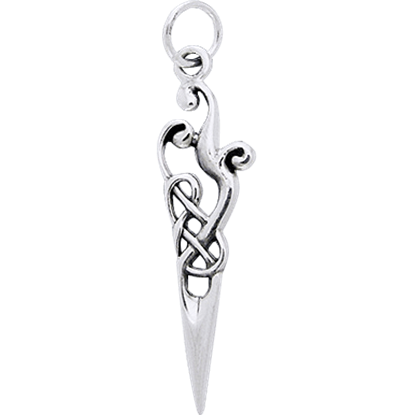 The White Bronze Borre Knot Charm shows off an attractive knotwork pattern that Viking enthusiasts will love. Sometimes called runestone style art, the Viking Urnes style features slim, stylized, tightly interwoven patterns often depicting animals. 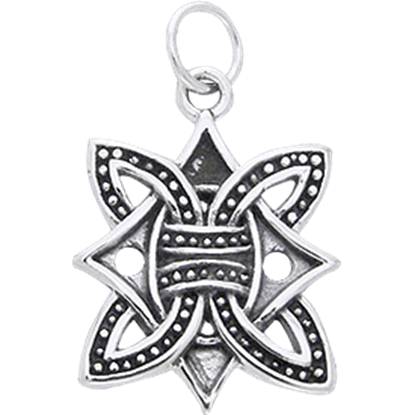 The White Bronze Urnes Charm shows off a curling and crisscrossing spike design.